The rand closed at R13.62 to the greenback on Thursday afternoon, ahead of President Cyril Ramaphosa's State of the Nation Address at 19:00. TreasuryONE said earlier that emerging market currencies started the day on the backfoot "in line with the risk off sentiment as we await the next round of trade talks and the probable shutting down of the US government again". Oil fell as ongoing concerns over the global economy overshadowed an unexpected decline in US fuel stockpiles. Futures lost as much as 1.7% in New York, sliding in tandem with European shares after official growth forecasts for major economies in the region were slashed. Crude and other dollar-priced commodities also retreated as the US currency strengthened. Oil gained on Wednesday after the US Energy Information administration reported that inventories of winter fuel in the US fell more than expected last week as cold polar air blasted the nation. “This morning’s retreat serves us as a reminder that more hard work is needed to turn this market unreservedly bullish,” said Tamas Varga, an analyst at PVM Oil Associates in London. Oil has faltered this month after posting the biggest gain since April 2016 in January. Higher American output is threatening to offset cuts by the Organisation of Petroleum Exporting Countries and its allies. While sanctions on Venezuela and Iran are supportive of prices, investors are wary before US-China meetings next week ahead of a March 1 deadline for trade tariffs to rise. West Texas Intermediate crude for March delivery slipped 1.3% to $53.34 a barrel on the New York Mercantile Exchange as of 13:41. London time. The contract increased 35 cents to $54.01 on Wednesday. Brent for April settlement dropped 55 cents to $62.25 a barrel on the London-based ICE Futures Europe exchange, after adding 71 cents on Wednesday. The global benchmark crude was at an $8.54 premium to WTI for the same month. US inventories of winter fuels, including propane, shrank by about 4.9 million barrels combined last week, EIA data showed Wednesday. Distillate stockpiles alone fell by 2.26 million barrels, compared with a decline of 2 million barrels forecast in a Bloomberg survey. US crude output stayed at a record-high 11.9 million barrels a day. Elsewhere, supplies from OPEC face heightened uncertainty after Libya’s eastern leader Khalifa Haftar said his forces have taken control of the country’s largest oil field. Haftar’s forces have yet to take full control of Sharara; they reached substation unit NC-186, which is about 30 km (18.6 miles) away from the main oil field, according to other people familiar with the situation. The Bloomberg Dollar Spot index has risen 1% this month, capping gains in crude and other commodities priced in the currency. US.Trade Representative Robert Lighthizer and Treasury Secretary Steven Mnuchin will lead a delegation to Beijing next week to lay the groundwork for a meeting between Presidents Donald Trump and Xi Jinping later this month. Other oil-market news: OPEC and its allies will probably extend their oil-cuts agreement later this year to keep prices at “comfortable” levels, according to Azerbaijan’s energy minister. US imports of Venezuelan crude fell 41% to 345 000 barrels a day last week, the least since August, according to preliminary EIA data. TransCanada’s Keystone pipeline and Enbridge Platte pipeline were shut Wednesday to investigate a possible oil spill in Missouri. Both lines carry Canadian crude to the US. OVERVIEW: Stocks in Europe fell alongside US index futures after a mixed session in Asia as signs emerged that the global rally in equities is stalling. Italian bond yields rose after the European Commission slashed growth forecasts for the euro region’s major economies. The Stoxx Europe 600 Index extended declines, dragged down by automakers and banks as sharply lower trading revenue from Societe Generale SA countered positive results from UniCredit SpA and DNB ASA. Futures on the S&P 500, Dow and Nasdaq indexes all slipped. In Japan, shares fell amid a raft of corporate earnings, although SoftBank surged 18% on plans for its biggest-ever buyback. China and Hong Kong markets are shut. The euro weakened and bunds rose as European policy makers warned in their dour growth forecast that Brexit and the slowdown in China threaten to make the region’s outlook even worse. Treasuries climbed with the dollar, which advanced for a sixth day as Federal Reserve Chairman Jerome Powell gave a brief but positive assessment of the economy and several of the world’s central banks put their tightening plans on hold. Investors face a lack of fresh impetus to extend the 2019 rally in risk assets ahead of meetings between China and the US to discuss trade next week. In Washington, there was little progress on the domestic front with the deadline approaching for Congress and the White House to reach a deal on keeping the government open. Asian traders remain hamstrung by a dearth of activity as many markets remained shut for Lunar New Year. Elsewhere, the rupee briefly fell after the Reserve Bank of India cut the repurchase rate by a quarter point, in a surprise decision. Among key events in the coming days: The Bank of England sets policy China, Taiwan, Hong Kong and Vietnam are among markets closed for holidays. The Stoxx Europe 600 Index fell 0.5% as of 10:33 London time, the first retreat in more than a week. Futures on the S&P 500 Index dipped 0.5%, the biggest decrease in more than a week. The MSCI World Index of developed countries dipped 0.2%, the largest decrease in more than a week. The MSCI Asia Pacific Index fell 0.2%. The Bloomberg Dollar Spot Index rose 0.2% with its sixth straight advance. The euro fell 0.2% to $1.1338. The British pound declined 0.2% to $1.29, hitting the weakest in more than two weeks with its sixth straight decline. The MSCI Emerging Markets Currency Index fell 0.2%, reaching the lowest in more than a week. The yield on 10-year Treasuries decreased two basis points to 2.68%, the lowest in a week. Germany’s 10-year yield declined three basis points to 0.13%. Italy’s 10-year yield rose eight basis points to 2.94%. TreasuryONE expects President Cyril Ramaphosa's State of the Nation Address (SONA) on Thursday evening to impact the rand's direction at least in the short term. "The basic equation is very simple where a well-received SONA will help the rand in the short term, whereas a badly received address will see the rand on the back foot heading to the budget speech on 20 February," commented TreasuryONE. "Market players will watch with a keen eye on Rmaaphosa's stance on state-owned enterprises and how he wants to attract foreign investment to SA. Expect the rand to trade very erratically when the speech commences." Valli Moosa, the current chair of Sun International has decided to retire from the board at the 2019 annual general meeting on 14 May 2019 and will not be standing for re-election as a director. He was appointed as a non-executive director to the Sun International board in 2005 and as its chair in 2009. Prior to joining the company's board, Moosa served as minister of environmental affairs and tourism from 1999 to 2004 and minister of constitutional development between 1996 and 1999. Furthermore, the board announced that, with effect from the end of the annual general meeting and subject to him being elected by shareholdersas a director of the company, Jabu Mabuza will be appointed as the new non-executive chair of Sun International. He is also the chair of Business Leadership SA and a co-convenor together with the Minister of Finance looking into the state of the SA economy. South Africa's stock market is witnessing a paradox: foreign investors are selling in the local market but buying a US exchange-traded fund that invests in the shares at the fastest pace in 11 years. 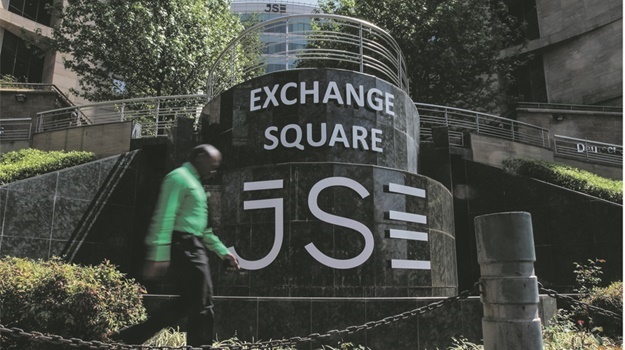 On the JSE, foreigners sold a net R14.6bn of shares in January with 19 of the 22 trading days seeing outflows, according to JSE Ltd.
During the same period, investors in NYSE Arca poured $153m into the iShares MSCI South Africa ETF, the biggest inflows since October 2007, according to data compiled by Bloomberg. Woolworths said in a note to shareholders on Thursday that David Thomas, CEO of David Jones, an Australian subsidiary of Woolworths, has resigned. According to Woolworths Thomas resigned for personal reasons.A replacement CEO for David Jones will be announced in due course. Woolworths Group CEO Ian Moir will work directly with the David Jones management team in the interim, according to the statement. Starting Thursday at R13.55/$, the rand is under pressure after weakening even further during the overnight session, bringing many of the South African issues back into focus ahead of the State of the Nation Address (SONA) by President Cyril Ramaphosa, according to Bianca Botes, corporate treasury manager at Peregrine Treasury Solutions. In her view, market participants will keep a close eye on the president's SONA, looking for solutions relating to Eskom and youth employment in particular. Disruptions by opposition parties are a possibility again, with the EFF already having issued a threat to do so. Wednesday's State of the Union address by US President Donald Trump was largely ignored by market participants as no concrete commitments were made, which saw the dollar rally to its strongest levels in two weeks, adding to the rand woes, according to Botes. Peregrine expects some pressure on the rand to continue, as the break above R13.50/$ signals another leg weaker, leading Peregrine to predict an intra-day range of R13.48/$ to R13.66/$.